Video: Kenneth Chan/Hong Kong Tatler. “With the Virtual Human, there’s nothing we cannot do,” says Daniel Seah, a Taiwan Generation T lister and CEO of Hollywood special effects studio Digital Domain. And he’s not kidding around. 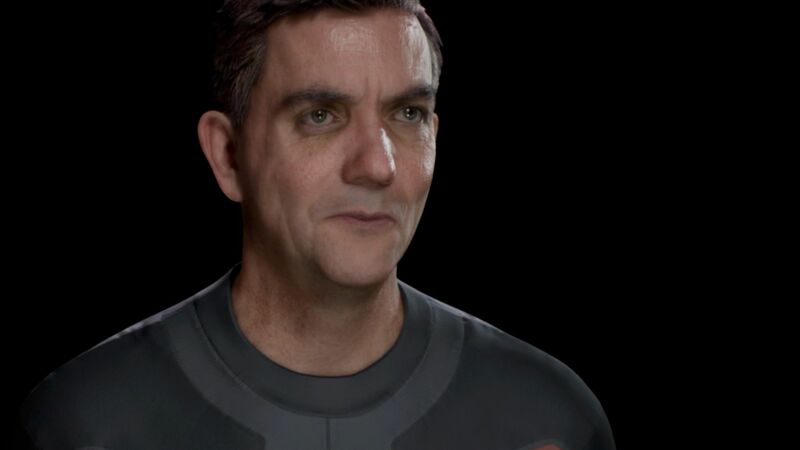 Let his technicians scan you for a few hours, and Digital Domain can create an almost perfect 3D likeness—a digital version of you they can make do practically anything. In movies, the technology has helped the studio win nine Oscars in the last two decades, used to render characters in everything from Beauty and the Beast to Black Panther. Most recently, the technology was used to create the character Thanos in Avengers: Infinity War. Today, Digital Domain doesn’t even need to scan the subject; it can create a digital avatar by taking data from videos. That’s exactly what the studio did when it brought two beloved performers “back to life”. Digital Domain first created a 3D hologram of Tupac, so the late rapper could share the Coachella stage with Dr. Dre and Snoop Dogg. Later, the same was done for late Taiwanese singer Teresa Teng, who appeared as a hologram for a duet with pop star Jay Chou. The fact that a subject doesn’t have to be complicit in the creation of their own Virtual Human opens the door to a flood of ethical questions. A 3D hologram could be created to make you look thinner, make it look like you can fly, or, more insidiously, make it look like you committed a crime you didn’t. In the not-too-distant future, it will be almost impossible to assess the veracity of any video with the naked eye. The line between real and virtual worlds is becoming increasingly blurred—and that has serious implications. What’s more, when the ability to create photo-realistic holograms is coupled with the exponential growth of artificial intelligence, it leads to one huge, potentially game-changing question: Will it soon be possible to live forever as a machine? Seah sits down with Generation T at the Rise technology conference to discuss this and more. Watch the video at the top of the page for more.